Apple today in a press release introduced new second-generation AirPods powered by an Apple-designed H1 chip that enables hands-free "Hey Siri" functionality and up to 50 percent more talk time compared to the original AirPods. Apple says the H1 chip in the new AirPods makes switching between the iPhone, Apple Watch, iPad, or Mac up to two times faster, and enables up to a 1.5x faster connection time for phone calls and up to 30 percent lower gaming latency. 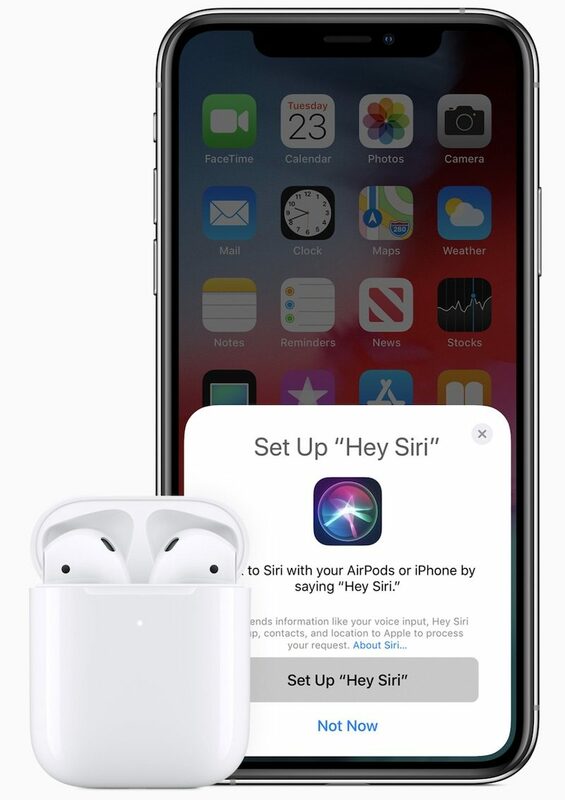 Hands-free Siri allows AirPods users to say "Hey Siri" to change songs, make phone calls, adjust the volume, get directions, and more. The new AirPods get up to three hours of talk time per charge, compared to up to two hours with the previous generation. Other battery life figures remain the same, with up to five hours of listening time per charge and more than 24 hours of total battery life from extra charges stored in the case. The new AirPods have the same outward design as the original and remain available in white only. 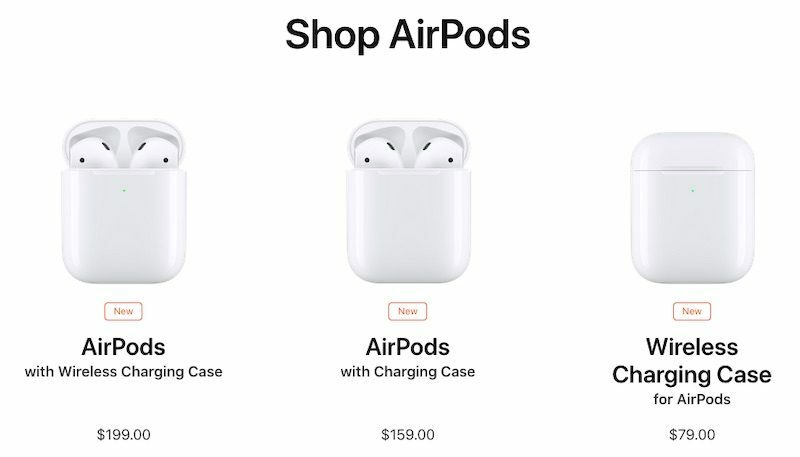 The new AirPods are available to order on Apple.com and in the Apple Store app starting today with a wired charging case for $159, the same price as the original AirPods, and with a wireless charging case for $199. Both options will be available at Apple Stores and select resellers starting next week. The wireless charging case is also available individually for $79 for use with both the first-generation and second-generation AirPods. An LED light indicator located on the front of the case shows the charge status at a glance. Apple also announced that free engraving is now available on any AirPods charging case for orders placed on Apple.com and in the Apple Store app. I'm going to wake up every day and expect a new Apple product launching. Did not see this coming at ALL. Not even an announcement at an event. Has Apple ever done product refreshes / updates like this—no event, this many products, trickled out over a week? Off the top of my head, I can't think of any. $79 for the wireless charging case. Yikes. Thank god the wireless charging case is optional. Disappointed that they still don't have noice cancelling. They dont isolate sound at all so NC would be pointless. but they haven't announced the left handed schnitzel stick with 1tb of ram I wanted!